Here's a simple way to leave objects to loved ones. When you sit down to make your will, one of your main jobs is to decide who you want to inherit your property. Part of that decision making process is figuring out how much detail you want to go into. Do you want to leave everything to your spouse, for example, or do you have lots of little (or not so little) objects that you want to go to different relatives and friends? There’s no right or wrong way to do it. Lots of couples simply leave everything to each other, with their children as alternate beneficiaries. It’s also common to leave everything to adult children in equal shares. These methods work well for many people. But what if you want your niece to get a painting she’s always admired, and your son to inherit an old family Bible, and a good friend to have a set of china that your kids don’t really like? It’s also fine to put such specific gifts in your will. The problem is that your will can get very long if you have a lot of small gifts to make—and if you want to add another, or you change your mind about a small gift, you’ll need to redo your will. That’s a lot of trouble for a small item. One good solution is to use a separate document, usually called a “personal property memorandum,” in addition to your will. In it, you can leave items of tangible personal property. All you have to do is make a list of items and the people you want to inherit them, and sign it—bingo, you’ve got a personal property memorandum. To make your memorandum legally binding, you just refer to it in your will. You don’t have to sign the memorandum in front of witnesses as you would a will. Another advantage to making a personal property memorandum is that it can help avoid hard feelings among family members. If you simply leave all of your belongings to your children in equal shares, they will have to figure out how to divide everything up. That’s not always an easy job, especially if siblings have differing memories or opinions about who should inherit. But if you’re clear about who you want to inherit certain items that might be the subject of a dispute, your children will have clear directions to follow and no reason to argue. Does Your State Allow a Personal Property Memorandum? In most states, these memoranda are not used to leave tangible business property. You can hand-write the memo, or type it and print it out. Don’t include items that you’ve already specifically left in your will. You don’t want the memorandum to contradict your will. Clearly describe items so that they won’t be confused with a similar item. Many statutes require that objects be described “with reasonable certainty.” The point is to make it possible for your personal representative (executor) to identify the objects and distribute them to the right recipients. If there’s any reason to think that your personal representative won’t know who a beneficiary is, or how to get in touch with a beneficiary, include information that will help, such as the person’s address and relationship to you. When you’re finished, sign and date the memorandum. Not every state requires memoranda to be dated, but it’s always a good idea. If you end up making more than one memorandum over your lifetime, the latest one will be the one that is followed after your death. You don’t need witnesses to watch you sign, and you don’t need to have your signature notarized. 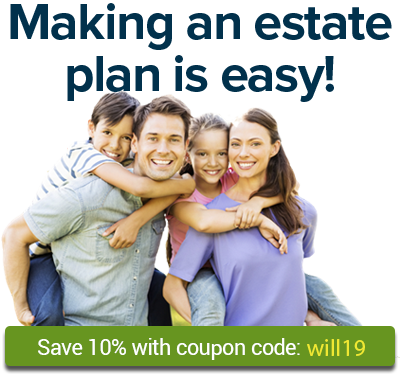 Keep the memorandum with your will, in a place where your personal representative will be able to find it easily. One of the best features of these memoranda is that they’re so easy to change; you won’t need to consult a lawyer, even if a lawyer drew up your will and original memorandum. And making a new memorandum—or simply tearing one up without replacing it—doesn’t affect your will. If you want to make changes, don’t cross out anything on your existing memorandum. Instead, make a new memorandum and throw the old one away.